The only advice I could offer would be to give me your fiddling powers. That was awesome. Great style, great smile, great expressions, great piece and performance. Little tension in your neck and slight intonation problems which I am sure that you are aware of. I think the tension is coming from holding the violin with your chin with a downward force by your head. Have you ever tried using your jaw-bone? Don't get me wrong, if you prefer playing this way and it causes you absolutely no trouble, it is fine. I am just afraid of what the future will bring. It's hard to correct once you've gotten the neck and back issues. I've had to work with many professional violinist for this very same reason. If you must hold the violin this way, try as an experiment not holding the violin so tightly. I loved it though, thanks so much for the post. Such a great performance, jakefiddle. Love it. Great finger dancing and fast bowing...something we old beginner may never get it. Thank you for posting. I enjoy it very much. Thank you guys so much!! I'm really glad you like it! Fiddlerman- my neck does get tense sometimes, and I've been becoming more and more aware of that recently because I've been playing a lot more. I've tried different positions and stuff... but nothing else seems to be comfortable. I might try getting some extra padding to go between the chin rest and me. Do you think that would help? I can not critique on this I am a white belt at this. Jake > you are where I want to be on the viddle. That was not only SWEET but very inspiring > You ROCK!!! Yes Jake. A pad might just make it more comfortable and possible give you the feeling that you need to squeeze more. I suggest you try two things. One would be a center mounted rest. If you get one from fiddlershop and don't like it, we will gladly refund you upon a return of the chin-rest. Secondly try to get used to holding the violin at a little more of an angle to your left, will require a few days of practice to get used to, using your jaw-bone. As far as padding goes, the most comfortable padding I've ever tried is the gel-rest which we will be listing soon on FiddlerShop. We'll be selling them at around $16.95 which I believe to be a MAP price. That all sounds reasonable. I'll look into all that stuff. Thanks for the advice!!! My teacher actually sells the center-mounted chin rests, but I've never really tried them out. So I'll give that a go. Thank you very much StoneDog!!! All I can say is wow, really really nice thanks for sharing!! This is exactly the kind of style I eventually want to be able to play (quite a ways down the road lol). I'm actually having the same issue (though my playing is much slower haha) with my neck when I'm done practicing... May have to look into a new chin rest here as well since my shoulder rest is all the way up at it's max. You might just need to adjust your shoulder rest. That will lift the chin rest somewhat. I had to go to an off center chin rest on my violin. You too might need to epxeriment with different rests Chris. Jake do work on that neck issue. I love listening to your play and hate to see you suffer some long term effects from whatever the problem is. I always like your playing, Jake. 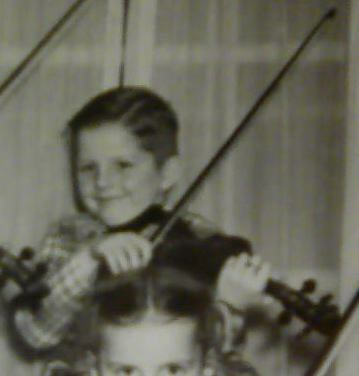 You are such a happy lad when you fiddle. Thats something right there! You slayed that dragon - to use appropriate medievel metaphore for a tune called wizards walk. That was awesome, I have to watch it several more times just to watch the left hand and then again just to watch the bow, I cant focus on both that fast. Wow! Great job, keep it real! That is freaking rad man! Any chance I could ask you to record it a teeensy bet slower and email to me? I´d love to transcribe it! Thank you all for the support!! I really appreciate it! Awesome! Thanks for both videos XD! 0:49 -is my favourite place in the first vid!